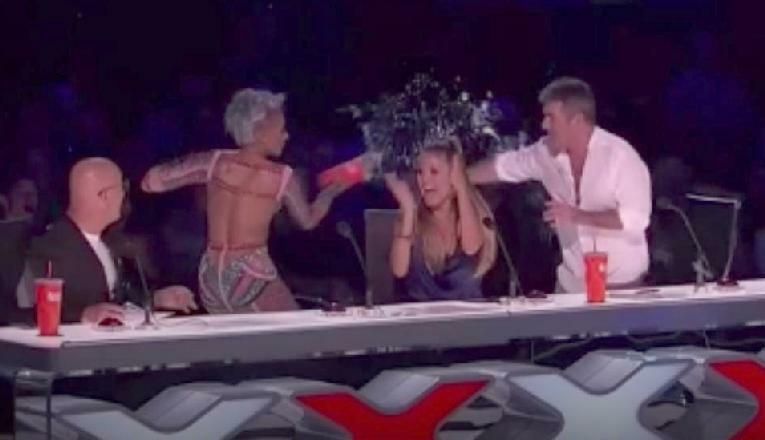 As we reported earlier, it was a tense night at the judge’s table during “America’s Got Talent” live show. Mel also took the opportunity to shoot down rumors she is dating a Beverly Hills Police officer. Meanwhile, Mel eventually returned to finish the show but appeared to have ripped her dress in the process. The singer filed for divorce from Belafonte earlier this year and was granted a restraining order against him after she accused him of abusing her, getting their nanny pregnant and forcing her to take part in threesomes. She has three daughters — 5-year-old Madison with Stephen, Phoenix, 18, from her first marriage to Jimmy Gulzar, and Angel, 10, from a relationship with Eddie Murphy.